As a healer I continuously ask the question, "What activates the body's innate healing capacities?" In the search for an answer I am always brought back to working with subtle energy healing. 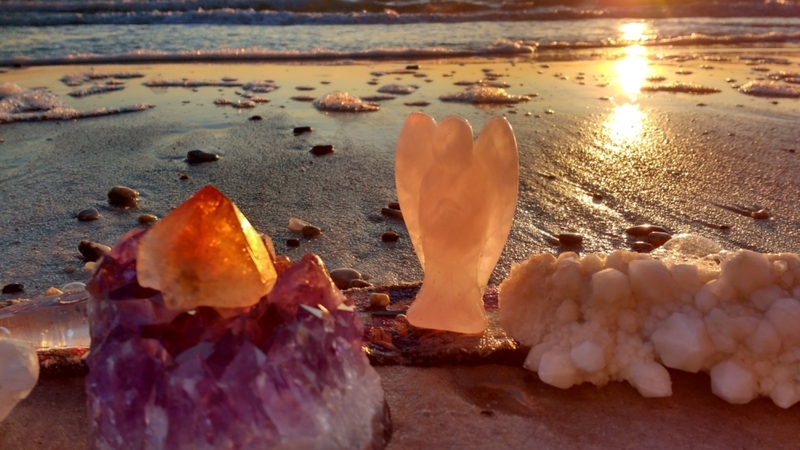 Working with the human energy field can allow for significant healing and the removal of the emotional blocks or "baggage" that prevent us from finding balance in our lives and ease in our physical body. We all have experiences that cause us to close up, shut down, block off or store energy so that the natural flow of life-force becomes restricted. This often leads to feelings of unease, physical symptoms or illness. While working with diet, herbs, and other healing modalities is a powerful aspect of a healing process, when we identify the root causes of our imbalance we are able to release patterns that no longer serve us and we are free. In an Energy Healing session I I use energy transmitted through my hands and the healing abilities of plants, stones and sound to free your flow of energy and restore you to balance. I also intuitively pick up information that is helpful to you. This information may involve the root causes of a physical imbalance; your chakras; past life experiences that are affecting your current experience; energy that is stuck in your field from negative beliefs, thought forms or relationships and messages for you from your body, guides or loved ones to help you heal. Sessions are 1 hour. We spend 5-10 minutes at the discussing what your current needs are. For ~40 minutes you rest on my heated table while I assess your energy field and perform the work that is needed. You are given the opportunity to fully relax in total comfort and simply receive the support and abundant energy being offered to you. I will quietly talk you through what I am doing unless I sense that you are in a place of deep peace and do not need to be disturbed. At the end of a session we have 5-10 minutes to discuss the work. You are given simple homework to help you to integrate the changes that took place. Reiki is a hands-on healing technique. The practitioner channels non-physical healing energy made up of life force energy that is guided by the Higher Intelligence. It used for stress reduction, healing physical and mental trauma, and to support mental clarity and well-being. How is an Energy Healing session different from a Wellness session? Wellness Sessions are discussion-based. Our time is primarily spent reviewing your symptoms, adjustments to your herbal protocol and lifestyle changes with some energy work as time allows. I designed Energy Healing sessions to be fully devoted to the intuitive, quiet space that healing on this level requires. I want my clients to know that this is the work they are coming for. It also gives me to opportunity to prepare my tools and set up for you.